Trenton man was killed over $600 drug debt: DOCUMENTS | Homicide Watch Trenton | Mark every death. Remember every victim. Follow every case. Court documents related to the death of 26-year-old Jibri Chisolm say he was killed because he owed his plug $600 for marijuana. Stephan Green, also known as “Chop,” is accused of murdering Chisolm on the night of September 14 after setting up a meeting in which Green was supposed to supply additional pot to Chisolm’s associate, who was also shot that evening. Approximately one week prior to the murder, documents say, the trio met on Bond Street, where Green gave Chisolm $600 worth of marijuana to sell. The plan was for Chisolm to collect double that amount of money in profit to pay back Green at an unspecified date. Documents say Chisolm spent all of the money he made from selling the merchandise and had not paid back his supplier by the time Chisolm’s associate decided to also obtain pot from Green to sell for profit. Chisolm gave his associate Green’s contact information, according to the affidavit of probable cause, and the pair made arrangements to meet on the night Chisolm was killed. Court documents do not say whether Green initially knew Chisolm would attend the meeting that night. But Chisolm, his associate and Green met near J & J Liquor and Bar on Middle Rose Street around 11 p.m.
Chisolm’s associate, who survived the shooting, told police he noticed that Green was wearing “thick gloves” when they met, but at the time “did not think anything suspicious” about it. 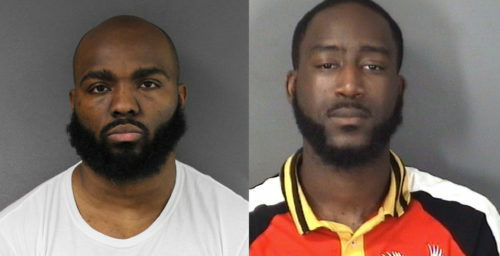 Chisolm’s associate drove the two of them to the meetup spot, where Green hopped in the rear of the car, documents say. The trio then drove around the corner and parked on Bond Street. Arrest documents say they sat in the car talking for several minutes before Green exited the car and walked toward Brunswick Avenue to retrieve the marijuana he was supposed to sell to Chisolm’s friend. Several minutes later, Green returned to the vehicle and asked his customer if he wanted the merchandise to be placed in the trunk. Chisolm’s associate then popped open the trunk and he and Chisolm stepped out of the car. And that’s when Green allegedly opened fire, shooting Chisolm in the stomach, causing him to collapse in the street. The surviving victim told cops he ducked and ran toward Martin Luther King Jr. Boulevard as Green continued shooting in his direction. While running, he fell, causing injuries to his knees and hands, according to court documents. After initially providing a false story, the surviving victim told cops he believes the shooting occurred as a result of the outstanding debt Chisolm owed for the marijuana Green fronted him. When cops arrived on scene that night, they found Chisolm lying face down in the middle of Bond Street, next to a parked Lexus his associate abandoned during the shooting. He suffered a gunshot wound to the head and abdomen. Chisolm’s associate suffered what appeared to be a bullet graze wound to his right hip. Police found five .45 caliber shell casings at the scene, along with three cell phones, one of which they used to prove Green had been in contact with Chisolm’s associate within the hours leading up to the homicide. Green, who is a convicted felon, was arrested at a hotel in South Brunswick Sunday and charged with murder, attempted murder and related weapons offenses.